Insurance Agents chasing new leads are always on the move. From meetings with clients in person to calling prospects on the phone, you are going to be busy from morning until evening. 1. Kelley Blue Book. If you sell auto insurance this is a great app to have on your phone. In short, it allows you to quickly pull information on the value of any vehicle. Are you trying to help a client decide what type of insurance coverage to buy? If so, you may need to know the value of the vehicle. 2. Insurance Journal. Are you interested in staying current with news from the insurance industry? You are probably well aware that Insurance Journal is one of the top resources. You can use this app to stay connected, no matter if you are in your office or on the go. Throughout the day, you can check in to see if anything major is happening. 3. Evernote. From taking notes to capturing images to creating to-do lists, when you have this popular app on your iPhone you are able to stay organized – no matter how hectic things may become. Some agents have an extremely difficult time staying organized. With Evernote, you can protect against this. 4. Google Voice. Let’s face it: you are not always going to be in your office. Does this mean you want to miss important phone calls? Of course not. 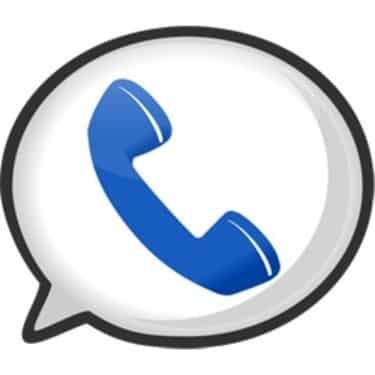 With Google Voice and its call forwarding capabilities, you can be rest assured that you never again miss a phone call. You will find that this app is a must if you want to provide the highest level of customer service. 5. Twitter, Google+ and LinkedIn. Some agents are serious about social networking. They know that this is a great way to stay in touch with clients, prospects, and industry colleagues. Others are not yet taking full advantage. If you are the type of person who likes to stay involved with social networking, even when away from your computer, these three apps can be a big help. There is a fine line between using the right apps and having entirely too many. You don’t want to bog yourself down, being forced to use your phone for every last task. However, you can truly turn your business into a “mobile operation” with the help of the right apps. Even if you only download one of these apps, there is a good chance that you will soon find yourself in a better position. What apps make you a more effective agent?